Tomorrow marks the third anniversary of GTA IV's release on the PC. To celebrate, Rockstar are holding another special Multiplayer Event featuring themselves as well as various webmasters from some of the long running GTA fansites. 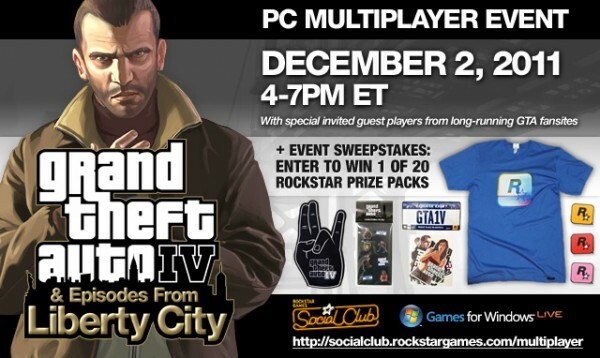 The event takes place tomorrow, 2nd December from 4-7PM Eastern Time (that's 9PM to 12AM GMT) and both GTA IV and Episodes from Liberty City will be played. I myself will hopefully be playing a few games, my gamertag along with all the other webmasters participating is listed below, so feel free to add any of us and we'll try and get you into a game! For more details including R* gamertags and information on the sweepstakes, head on over to the Newswire post. And don't forget, if you can't join in the fun, you can always watch the live stream of the event on the Social Club multiplayer page! 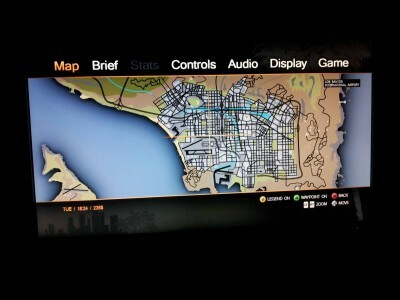 Some [fake] GTA V screenshots have "leaked"
Some photos of an alleged Xbox 360 build of GTA V are making the rounds today, and at first glance they're actually pretty good. However, moving on to some light analysis we can soon see they are quite likely to be fakes. I am not going to link to the source website because they are virtually unheard of and in all likelihood they were created as a publicity stunt, they have even since updated their post to point out they are likely fake anyway. 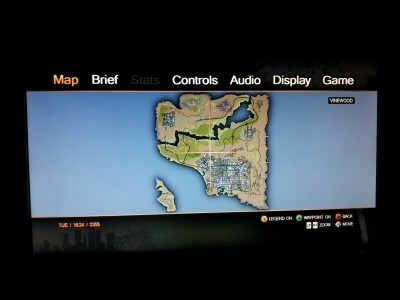 As you can see, the images appear to show an Xbox 360 build of the game. The menus seem to lack a bit of polish, and we can see a thinner variant of the Helvetica typeface is being used (possibly deliberate but may be an error), but what would seem like the first somewhat obvious sign of fakery is that the dollar sign is on the wrong side of the number. Also, it is strange to see the "Stats" option greyed out. This doesn't make sense to us as these are viewable at any time in every GTA game. As for the map itself, in our opinion there looks to be far too much countryside, approximately two thirds of the map if you look at how much physical space it takes up. There's probably a number of other things we're missing here. But our immediate opinion is most certainly fake. Do you agree they are fake? Or do you think they could actually be real? Let us know in the comments, and of course if you've found anything in the images that proves they are real/fake. We'll update this post if we get any other interesting information regarding these. 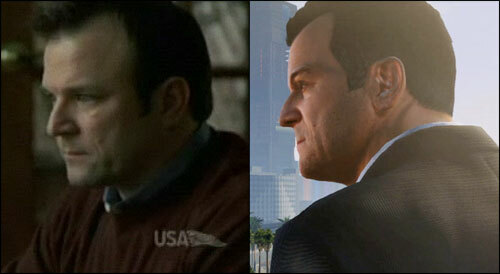 Could Ned Luke be the voice of the GTA V protagonist? Not only does he have a similar physical appearance, he also sounds very similar too. What do you think? Tell us in our forums. UPDATE: Looks like there's even more to this than we originally thought. On 5th November, Jimmy Taenaka, apparently a friend of Luke's, made two tweets, where he gives props to his friend for landing the role. Additionally, a woman named Rebecca Halls who claims to be Luke's cousin made a series of somewhat negative tweets on 2nd November regarding his being in the trailer, if you can find them amongst her airing of personal issues. Lastly, Ned Luke himself allegedly goes by the Twitter handle @boomfatdaddy, although his account is not verified, the account does however follow @RockstarGames and even tweeted a GTA memory. UPDATE 2: Jimmy just tweeted that it's "not official" but seems convinced that it is Ned Luke. I'm sure many of you reading this will remember trailers for GTA IV being recreated in GTA: San Andreas, most notably those made by Brotha which we featured on the front page here at The GTA Place. Well, it didn't take long for GTAV's first trailer to get that same treatment, this time by YouTube user CreativityZone. Below, you can watch his recreation along with the real GTA V trailer vertically split-screen to see exactly how they compare. I think he's done a pretty amazing job. If you've made or found something interesting related to GTA V, even if it's just for fun, be sure to point it out to us and post about it in our forums! Rockstar have today officially announced that Grand Theft Auto V is in full development. The company released a statement on the newswire which confirms that the game will be set in Los Santos only, not all of San Andreas; it will however include "surrounding hills, countryside and beaches". The statement also confirms that money will be a major theme of the game, and that GTA V will be the largest and most ambitious GTA to date, re-imagining present day Southern California. It's out! Now shut up and watch! We're uploading Screen Captures of the trailer and now have a list of observations made from it below. Leave your initial impressions in the discussion! Now that we've seen the trailer and have a nice selection of screenshots from it available, let's have a little look at them and see what details we can surmise from them. The following is a list of our thoughts and presumptions based on what we can see in the trailer. Nothing is confirmed as fact yet. A dog is seen walking with a couple (screenshot #1) - our guess is we won't be able to keep pets, but we'll see dogs, maybe other animals in game. Convertible cars! Screenshots #10,#11,#12 and #13 show a woman walking past and glancing at a man putting the roof of his car down. Wind turbines in a rural area, could be based on the real life Interstate 8 (thanks chris82). Screenshot #14. Also check this screenshot taken a few frames before by forum member NotYouHaha who draws attention to what appears to be a Skimmer seaplane making a return! Two people are seen exercising on the balcony of a large house. Screenshot #15. Fitness may be incorporated into the game once again, as a moment later in screenshot #17 we see a blonde woman walking past "Muscle Sands" on Vespucci Beach, Los Santos. Is that an older Tommy Vercetti in screenshot #22!? A lot of you are hoping/wishing it is. Others are saying Tony Cipriani is also a possibility. We're not convinced it's the protagonist, whoever it is, but we don't know for sure. UPDATE: Tommy would be 60 years old now, thus it seems unlikely to be him. Tony Cipriani looking more likely if it is indeed a returning character. A cutscene from a mission is shown in screenshots #27, #28, #29 and #30. Bugstars Pest Control - "putting the FU in fumigate" is shown on the van they are using as cover. Main character(?) driving through town past Pizza This (screenshot #31), doesn't look like we can go inside. 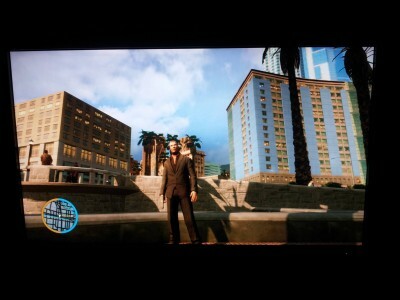 Then from a different angle (screenshot #32) we see him drive past a supermarket and in the background a building available for rent, doesn't necessarily mean it's for use in game though. You can see clearly here the license plate on the car says "San Andreas"
A postal service van drives away to reveal a man hammering a for sale sign due to foreclosue into the the ground outside his home. A bicycle can be seen in the background, next to some open windows. This makes us believe property buying/selling will be a part of the game (screenshot #40). Our protagonist will be able to have a good time (screenshot #41). We see a nice Audi R8 being driven fast (screenshot #42), and then our attention is turned to some poorer residents (screenshots #43, #44, #45). A jet is seen using its afterburner! We're going to presume this is flyable. Screenshots #46 and #47. A motorbike, possible a PCJ is seen in the foreground while a man is ejected from a club in the background (screenshot #48). 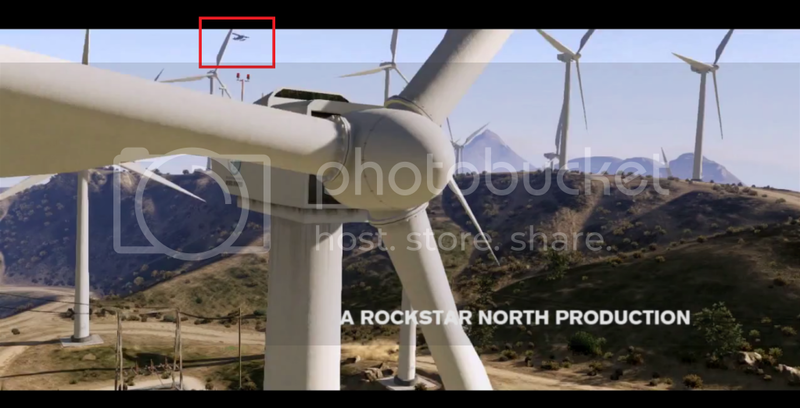 The trailer ends by showing said plane flying toward downtown Los Santos, before the GTAV logo appears and the background fades to black (screenshot #62). That's all we have for now. Let us know in the comments if you think we missed anything that's worth pointing out. Also be sure to comment on the Tommy Vercetti/Tony Cipriani thoughts, we'd love to know what you all think about either of them returning as the main character.